The California Supreme Court granted review of Montrose Chemical Corporation of California v. Superior Court, 14 Cal.App.5th 1306 (2017) (Montrose II). In reviewing this case, the court has the opportunity to clarify or establish new precedent regarding allocation of general liability insurance coverage to continuous bodily injury and property damage loses. The following provides an overview of California’s prior continuous loss coverage rulings and an assessment of how the court may rule in Montrose II. In a vacuum, the application of general liability insurance to continuous bodily injury and property damage losses is relatively straight forward. Triggered primary policies are liable up to policy limit and, if the loss exceeds primary policy limits, then excess policies are triggered until their respective limits are also exhausted. There is, however, a complex issue associated the potential joint and several liability of insurers that are mutually responsible for an insured’s defense and indemnification. Jurisdictions have generally resolved this issue through the application of either pro-rata or all-sums allocation schemes. Pro-rata jurisdictions spread liability among triggered insurers according to their relative share of liability. All-sums jurisdictions hold a single insurer responsible for the entirety of a loss up to the policy limit. In the 1995 case Montrose Chemical Corp. v. Admiral Ins. Co. (“Montrose I”), the California Supreme Court addressed the application of continued loss over multiple policy years. In Montrose I, the court ruled that “property damage that is continuous or progressively deteriorating throughout several policy periods is potentially covered by all policies in effect during those periods.” Montrose Chemical Corp. v. Admiral Ins. Co., 10 Cal.4th 645, 689 (1995). Following Montrose I, the California Supreme Court affirmed that coverage “extends to all specified harm caused by an included occurrence, even if some such harm results beyond the policy period.” Aerojet-General Corp. v. Transport Indemnity Co., 17 Cal.4th 38, 57 (1997). In Aerojet, the California Supreme Court further clarified that the liability under each policy is not joint and several but, rather, each insurer is severally liable on its own policy up to the policy limits. See Aerojet at 57. Having established that each policy is triggered severally for a continuous loss up to the policy limit, the CA Supreme Court was next challenged to decide how to allocate loss that exceeded policy limits. In other words, if an insured selects a single policy to cover continuous losses on an all-sums basis, can that insured then select additional policies to cover the same loss? 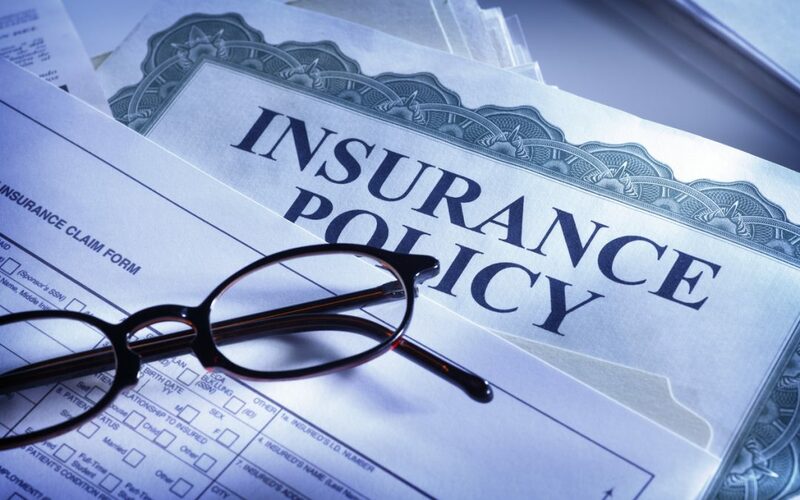 In State v. Continental Insurance Company, the State of California argued to expand its rights to seek coverage for a continuous property damage claim from any policy issued during the triggered period. An insured entity suffers a $10,000,000 property damages loss as result of hazardous waste contamination that occurred from 1960-1970. In addition to primary coverage, the insured also purchased a single excess policy with a $5,000,0000 ultimate net loss policy limit. This excess coverage is effective from 1/1/1967 to 1/1/1968. In a typical pro-rata jurisdiction, each of the primary insurers would pay 10% of the loss up to the $1,000,000 policy limit. Therefore, the hypothetical loss would exhaust all the primary coverage but the excess policy would not be impacted. Based on the State of California argument in Continental, California’s all sums scheme should allow the insured to select the 1967 primary policy to pay its full policy limit of $1,000,000, then move directly to exhaust the excess insurer’s $5,000,000 limit, and then seek payment for the remaining $4,000,0000 from other primary insurers. In Continental, the court agreed with the State of California and permitted vertical “stacking”, which means that when one or more policy is triggered by a single occurrence, “each policy can be called upon to respond to the claim up to the full limits of the policy.” See Continental at 200. In effect, stacking creates a single “uber-policy’ with a coverage limit equal to the sum of all purchased insurance policies.” The practical result of the Continental ruling is that an insured can preemptively select or target coverage years with high excess coverage without having to establish horizontal exhaustion of all underlying primary layers. Since Continental, the primary issue that has emerged concerns the application of all-sums with vertical stacking to excess insurers who maintain other insurance or “anti-stacking” clauses within their policies. This issue was anticipated by the court in Continental, as the court stated “[t]he most significant caveat to all-sums-with-stacking indemnity allocation is that it contemplates that an insurer may avoid stacking by specifically including an “antistacking” provision in its policy.” This issue is central to the appeal in Montrose II. In the 2017 lawsuit, Montrose relied on the court’s prior rulings in Continental, Montrose I, and Aeroquip to argue that it should be permitted to stack policies and access excess policies in any year where it can show “lower-lying policies for the same policy year have been exhausted. Montrose Chemical Corporation of California v. Superior Court 14 Cal.App.5th 1306, 1312 (2017) (emphasis in original). In response, various excess insurers argued that anti-stacking provisions within the excess policies prevent stacking and, instead, require horizontal exhaustion of “lower-lying excess policies in all triggered policy years” just as hypothesized in Continental. Id. The appellate court agreed that excess insurers having policies with anti-stacking provisions could not be triggered until Montrose had shown horizontal exhaustion of the underlying limits of triggered policies in every policy year. The appellate court left open the possibility of allowing the application of stacking to policies without anti-stacking provisions. The difficulty of the appellate court decision is how to apply it when various layers of coverage in the same year contain contradictory stacking language. (1) Uphold the appellate court’s decision and permit vertical stacking only for policies without anti-stacking language. This ruling offers the path of least resistance as it would be in-line with the courts own prior consideration of anti-stacking provisions. It would also favor and give credence to insurers intended use of unambiguous contact language. In application, this ruling would likely result in the equivalent of a pro-rata allocation. In Montrose II, 118 primary and excess policies are at issue and there is likely to be an anti-stacking provision in at least one excess policy of every year of triggered coverage. Therefore, the underlying primary policies would need to be exhausted before certain excess coverage would attach. Insured entities could attempt to jump around to trigger policies without anti-stacking clauses creating a swiss cheese like effect throughout their coverage block. However, the complication of attempting to administer such a scheme would be prohibitive and it seems likely that all sides would ultimately favor an extracontractual coverage-in-place agreement that could simplify and provide clarity in the coverage allocation. (2) Apply a broader interpretation of the court’s prior rulings in Aerojet, Montrose, and Continental to all policies regardless of anti-stacking language. This ruling offers the greatest potential to stabilize the long-term applicability of California’s all-sum with stacking scheme. By ruling that anti-stacking language is vague and ambiguous, California could interpret the language in a manner that is most favorable the insured and continue to allow the maximization of coverage through vertical stacking. This ruling would also reinforce the policy underpinning of California’s all-sums allocation by continuing to hold insurers severally liable for losses occurring in any year that they issued an applicable general liability policy. Montrose filed its opening brief on the merits on February 1, 2018, answer briefs on the merits from the numerous interested parties are due by June 18, 2018.